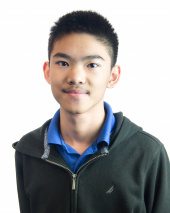 Jeffery Xiong of Coppell, Texas, is the highest ranked player in the US under the age of 18. He won the World Junior Chess Championship in 2016 at the age of 15, which was the first time an American chess player has won in 2 decades. He was also the youngest winner of the Chicago Open Chess Championship in history, when he won it in 2015 at the age of 14. He was awarded the prestigious Samford Chess Fellowship in 2017. He has represented the USA in the 2017 World Team Championship and FIDE World Cup.